Photo taken by Gernot Hanschke. This month marks the 50th anniversary of The Beatles’ hit album, “Sgt. Pepper’s Lonely Hearts Club Band.” Though they were together for less than a decade, the band’s influence on music continues to leave a lasting impression on today’s artists. “Before The Beatles, you had guys in lab coats doing recording experiments in the Fifties, but you didn't have rockers deliberately putting things out of balance,” said Elvis Costello in a 2010 Rolling Stone interview. What better way to commemorate The Beatles’ success than by learning about it firsthand from a distinguished artist in the Maryland musical community? Enrollment in this online summer course offers students a unique opportunity, as Crossland not only has a deeply-rooted love for music, but also a vast knowledge of and successful career in the industry. 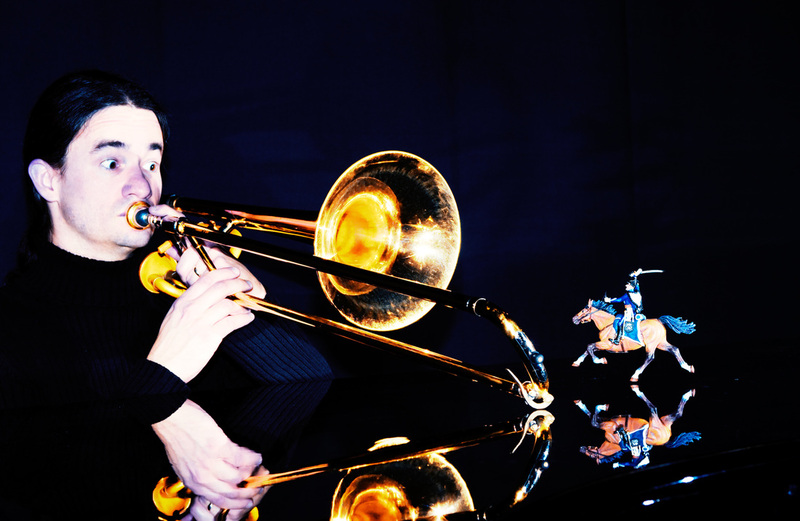 Crossland began playing the trombone at the age of 10 and has traveled the world, working with renowned musicians in leading international orchestras to enhance his musical abilities. From Germany to France to Italy to the United Kingdom, “his experiences from other countries and ensembles helps us understand how to best approach our literature,” says UMBC music student Jermaine Fryer. Since both courses will be taught exclusively online, anybody can enroll, regardless of what university they attend and where they are located for the summer. Crossland’s students have reaped benefits far beyond just knowledge of course subjects. UMBC sophomore Daniel Sperlein has worked with Crossland on multiple accounts, as both a student and a mentee. He accredits his personal and academic successes thus far to their relationship. Sperlein recalls that Crossland has never missed one of his performances, showing a level of support unmatched by any of his other instructors. Whether you have an extensive knowledge of music or have never picked up an instrument in your life, Dr. Crossland’s courses give you more than just information. For more information on Crossland’s online summer courses on The Beatles (MUSC 336) or the Introduction to Music (MUSC 100) and how to register, check out the UMBC Summer Session website.